Sisters, associates and lay partners across Northeast Ohio will discuss civil discourse and its role in today’s society in an afternoon event titled “Civil Discourse: How to Have Difficult Conversations” to celebrate National Catholic Sisters Week. Featuring keynote speaker Sr. Janet Mock, CSJ, former executive director of the Leadership Conference of Women Religious (LCWR), the event will be held Sunday, March 3, from 1 to 4 p.m. at Magnificat High School in Rocky River, OH. During Sr. Janet’s time as executive director, LCWR was undergoing doctrinal assessment, an investigation by the Vatican assessing the sisters’ belief in church doctrine. Her address on March 3 will include insights from this process, and what she learned about relationships and dialogue in tense situations. SOCF, the Conference of Religious Leadership (CORL), Coalition with Young Adults (CYA) and National Catholic Sisters Week are supporting the afternoon of discussion, reflection and contemplative prayer. In However Long the Night, a collection of essays from LCWR sisters reflecting on the six-year investigation, Sr. Janet says that the women religious community was “stunned” that their belief was called into question. 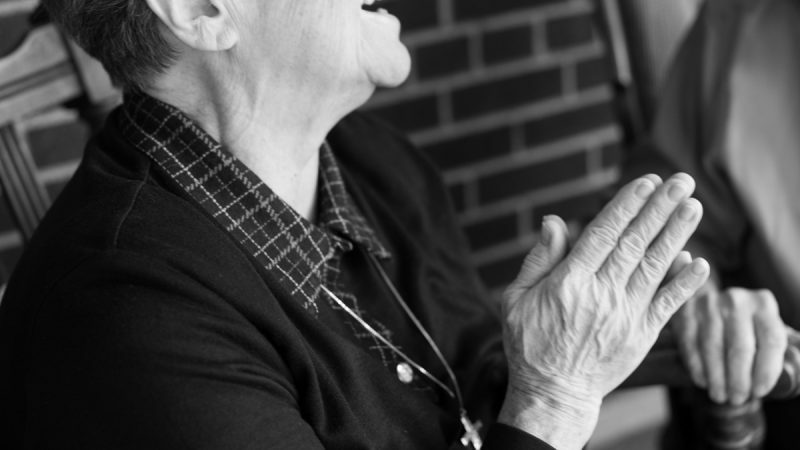 From this experience, Sr. Janet worked to understand how she could share what she learned in a way that might help all people, especially U.S. citizens, think about how to approach difficult conversations. “How does one go about developing an authentic relationship with a group of people who, in our experience, took words out of context and acted against us on that misrepresentation of truth?” she wrote. Following her keynote conversation, Sr. Janet will encourage attendees to reflect within small groups before coming together to share experiences. The afternoon will end with silent reflection and prayer. All are welcome to attend; the event is free but registration is requested. Light refreshments will be provided. Register here by February 25.